I just got back from a brief trip to Asheville, NC – it’s a gorgeous little place, full of winding streets, excellent food and charming quirkiness, all set in the middle of some of the most breathtaking hills that, in fall, turn shades of orange, red and yellow that couldn’t be brighter if if they were back-lit. It was a short trip, but I managed to catch the excellent The Kernel at Jack of the Woods, who played a midnight country set that had the locals dancing. 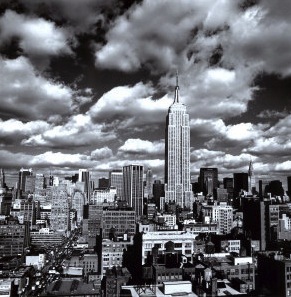 But tomorrow, I leave for my hometown of NYC. Thus, this week will be quieter than usual on the blog – though keep up with me on Twitter here. I’ll be posting there as I traipse around the city, checking out various CMJ events and tracking down Nashvillians at their showcases. So see you back here soon, Nashville. I’ll have some pizza for you.